My job as an international fire consultant is to help clients (building owners, designers, developers, insurers and sometimes local authority building control authorities) achieve buildings that have the required level of safety for the occupants, the building and its contents. As a well qualified and experienced fire consultant, I can make smoke control and flame heat transfer calculations and assessments of structural protection on projects large and small. 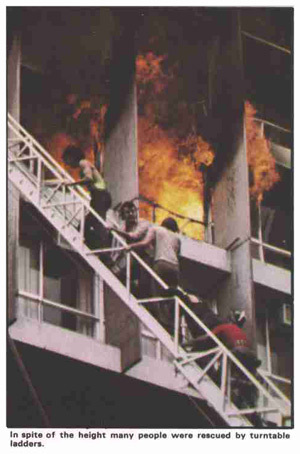 I am at the leading edge of fire safety engineering practice in London as my listing of projects illustrates. I contribute to the education of students and fire safety professionals in London through my extensive publications and seminars.